The 2015 #CupcakeMeetups: What you NEED to KNOW! What you’ve heard is TRUE! 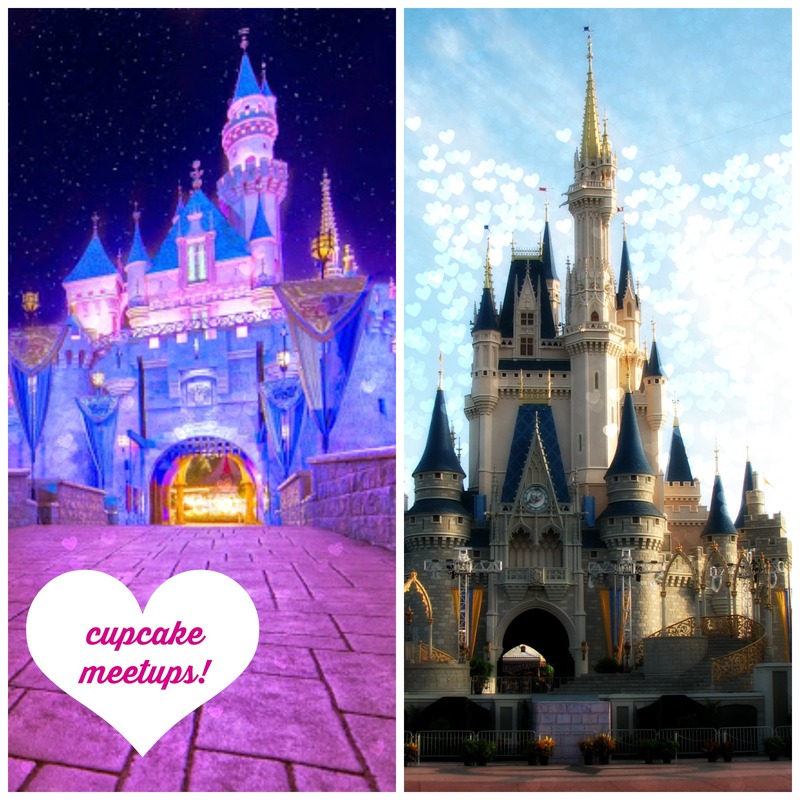 #CupcakeMeetups are back, and this year, they are going…wait for it...COAST TO COAST! It’s been soooooooo difficult keeping this all under wraps, but let me tell ya, I am so thankful for all the help that you all have given me in spreading the word and sharing the love with our very first returning prize sponsor, Sport Hooks! Thanks to their generous support, we’re kicking off this year’s #CupcakeMeetups with a BANG – a giveaway bang, that is! So, before I get to the BIG news (wait, more big news?!?!) and details about the #CupcakeMeetups, here’s the skinny on the sweet “Coast to Coast” Medal Hanger – all you have to do is comment on this post (as outlined below, check out all the opportunities for multiple chances to win)! 1. Comment once to let me know if you’ve ever done a runDisney “Coast to Coast” race challenge. 2. BONUS ENTRY 1 – If yes, tell me what races you ran, and what year. If no, tell me, which races would you pick. 3. BONUS ENTRY 2 – Did you LIKE and SHARE Sporthooks on Facebook? Honor System! Comment here and let me know! ….so, back to the announcement!! For the past two years, I have helped plan fundraiser “Cupcake Meetups” during select runDisney events, including the 2013 Disneyland Half Marathon Weekend and the 2014 Wine and Dine Half Marathon Weekend. It all started out as a simple idea – meet up with friends, eat cupcakes, and raise money for a great cause! Much to my surprise, the event really took off, and since our first event, we’ve generated enough income to donate more than $1,500 in proceeds to charitable causes. Each event has featured a title charity, and donations are made toward a member of the running community raising money for a cause dear to their heart. In 2013, we helped Rachel Sullivan fundraise for St. Jude Children’s Research Hospital through the St. Jude Heroes program, and in 2015, we were able to assist Meredith Schechter raise money for Noah’s Light Foundation. In response to popular demand, I’m bringing this event to both coasts this year, with two hosted events at the Disneyland Half Marathon Weekend at Disneyland, as well as the Wine and Dine Half Marathon at Walt Disney World! Additionally, for the first time ever, there will be opportunities for “virtual” meetups for participants around the United States (and the world!) to get involved! I am also extremely pleased to announce that the charity that will be benefitting from this year’s dual fundraising events is TEAM PAWS Chicago, which benefits PAWS Chicago, a national model and the Midwest’s largest No Kill humane animal shelter. Together, with title sponsor DVC Central, we are dreaming big and hoping to raise more than $1,000 to assist our friend Justin Stone save 2,000 or more cats and dogs this year as he trains and fundraises for the 2015 Chicago Marathon – so this year, we are SO excited to share that our #CupcakeMeetups have officially become PAWESOME – and will henceforth be referred to as the 2015 #PupcakeMeetups! Registration for all three events will open on TUESDAY, April 7th and will be $25 per person. All previous participants from the last two years will receive emails over the weekend with a special promotion code for 20% OFF, as a special thank you for continuing to support the #CupcakeMeetups!! Questions? Email khiguchi at gmail dot com, tweet me at @krissymmurphy, or post your question in the all-new CupcakeMeetup group on Facebook! My first coast to coast will be this year! I’m doing Tink and Wine and Dine!! I hope to make the cupcake meetup at Wine and Dine! Looking forward to my first coast to coast (hopefully) in 2016 with WDW Marathon Weekend and Star Wars Half. See you at the Disneyland Half Meetup! wahoo! I’ve done two C2C’s. In 2012 I ran the Goofy Challenge and the inaugural Tinkerbell Half marathon. Then in 2013 I did the Goofy Challenge (again 😃) and the inaugural Dumbo Double Dare. Also liked/shared Sporthooks! Great day of announcements and a fantastic cause! I have not done the C2C challenge but I plan to do it in 2016 with marathon weekend, Princess half and Tinkerbell half. I have Coast to Coasted (it’s a verb, right?) every year since I started doing runDisney races. 2010 I did Princess and Disneyland (and Inaugural Wine & Dine). 2011 was WDW half and Disneyland. 2012 was Inaugural (and one and only) Marathon Relay and Inaugural Tink (C2C by the end of January!) plus Inaugural ToT and W&D. 2013 was Princess and Disneyland (Inaugural DDD). 2014 was WDW half and Disneyland (DDD). I was going to stop when my Sport Hooks Coast to Coast was filled (yes I liked their page) but …. 2015 I’m doing the double! Star Wars and W&D for the regular and Princess and Tink for the pink and another Disneyland DDD thrown in because I’m a sucker for anniversary medals! Oh I liked and shared! I haven’t run a coast to coast yet but I want to! The races I would pick are either Princess half and DL half or Star Wars half and Wine & Dine half. I did like and share sport hooks on FB too. So excited about the charity! Love the animals and this is Pawsome! Happy to support Justin and Team Paws again! Thank you for putting the #pupcakemeetups together! What a great announcement – and charity to support! Love it! I’ve run C2C three times – 2013 Goofy and Tink (and W&D), 2014 Tink & Princess and 2015 Star Wars and Princess! I will be getting my coast to coast this year…twice! I did princess & will doing tink next month (pink c2c), and I did Star Wars & will be doing w&d in nov! We are doing the same combo this year! Did you find it weird to not get your C2C at Primcess? I’ve never done a C2C race or ANY RunDisney races! I’ll change that one of these days! I’ve done Coast to Coast twice! 2013 it was Princess and Dumbo, 2014 was WDW half, Dumbo and Wine & Dine. Looking forward to this year Wine & Dine meetup!! Liked & Shared!!? My first C2C was Dumbo 2014 and WDW 2014. This was also the first time I did both of these races. I’m doing it again this year! I liked and shared Sports Hooks. I’m so thrilled to be helping Justin raise money to help support our four-footed friends. This will be my first cupcake meet up. Woo hoo! I have never done a coast to coast challenge. But I would love to one day do the Disney wine and Dine half marathon and the Star Wars half marathon!! I liked and shared the Sports Hooks page! Thank you all so much for supporting my effort to save the lives of our four legged friends. These meet ups are going to be pawesome, for sure! i did coast to coast in 2013 for my first and second half marathons ever! Did wdw half and then the innagural dumbo! Definitely liked and shared! I liked Sport Hooks on FB. I’m not a runner but I’ve done the 5K at WDW marathon weekend and the 5K at Disneyland Dumbo weekend. You better believe I have gone COAST TO COAST!! I went Coast to Coast in 2013 with Tink and Princess (before they released the pink C2C medal 😦 ) and then earlier this year with Dopey and Star Wars! I’ve never done a coast to coast but would love to. I’d pick Tinkerbell half marathon and Princess half! Lilo,I think I detaosmrnte one of the advantages the BushBuddy has over an open fire in the video I put up yesterday (Eta Pot Pt1) when I move it while it is still roaring away.Also I think there is a trend for BushBuddy users in the UK to take a tiny meths stove as a back up just incase they can’t find fuel. I love this look! Did you design it??? So cool. I'm going to try homemade deo when I run out this time…excited…recipe is coconut oil and baking soda…can't wait to try it. I have not gotten a Coast to Coast medal yet. 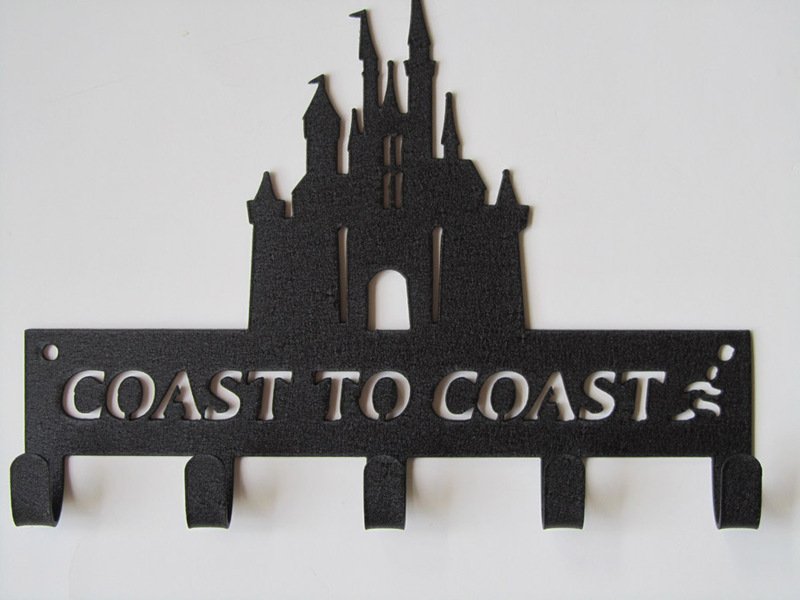 I have plans to run Princess half 2016 and then Disneyland half 2016 to get my coast to coast. Unless I don’t get registered quick enough. I have liked Sport Hooks on Facebook. Also I shared your post to like Sport Hooks on facebook. My first Coast 2 Coast is this year as well! I did the Goofy back in January and I’ll be running Tink in May! My very first runDisney Challenge was DDD in 2013, the inaugural year and I have been running this race ever since, this will be my third year! I love the recipient for the donation proceeds! This is a great cause and I can’t wait to participate this year! My first Coast to Coast was Princess (my first runDisney race ever!) AND the DDD in 2013. My first year of runDisney races and my first ever Coast to Coast. So fun! Oh…and I like Sports Hooks on FB! LOVE their designs!!! I would not miss this for anything! I have been there since the beginning. and yes I have done the Coast to Coast race challenge – Blue and this year it will be pink! I earned my Coast-to-Coast in 2014 by running the Dopey Challenge in Florida and the Dumbo Challenge in California. This year I plan on running Dumbo again and the Wine and Dine Half for the first time, earning a second Coast-to-Coast. And, yes, I’ve ‘liked’ the Sports Hook page. Yes! I earned it in 2013. I ran the Dumbo Double Dare then all the halfs at WDW!! I liked Sportshooks but didn’t share it.